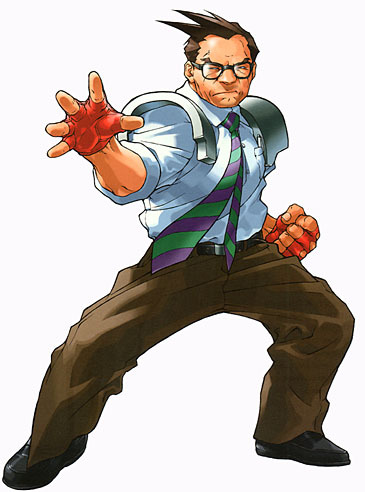 Hideo Shimazu is a playable character from the Rival Schools fighting games by Capcom. He debuted in Rival Schools: United by Fate (1997), returned in the sequel Project Justice (2000) and is also playable in Namco X Capcom (2005), a crossover S-RPG only released in Japan. 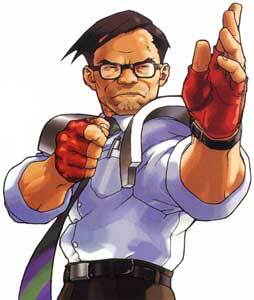 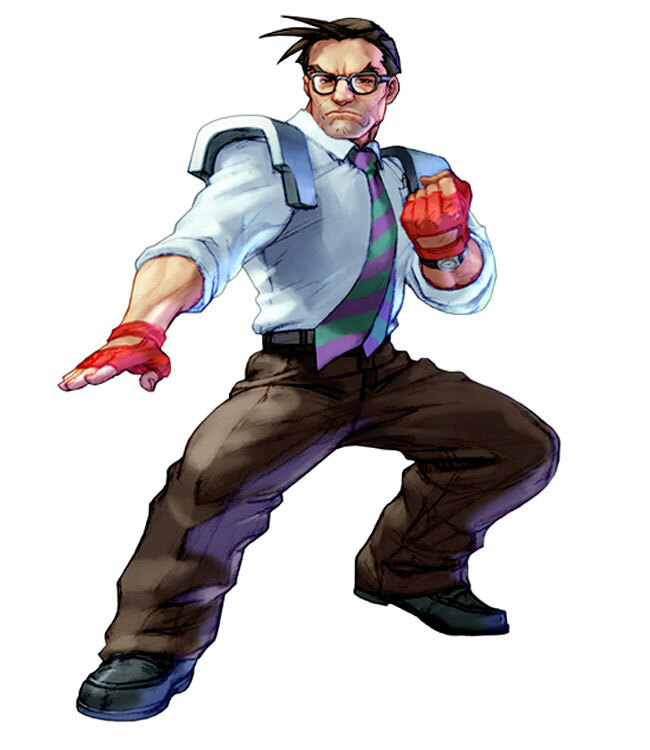 Hideo is one of the teachers in the Rival School games and uses special moves that are very similar to Ryu’s from the Street Fighter games. 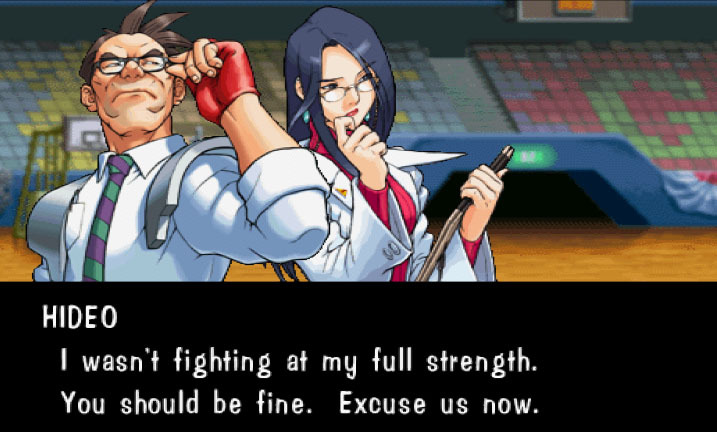 He has a crush on Kyoko Minazuki who is is tag team partner in the Rival School games and also playable in Namco X Capcom. 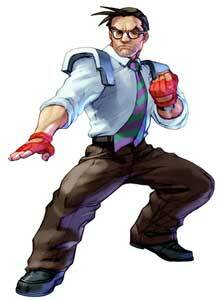 He lives alone at a dojo in Kyushu.